Smart sage green headings, lines and a simple border add interest to this clean and simple résumé template that is ideal for a multitude of roles. 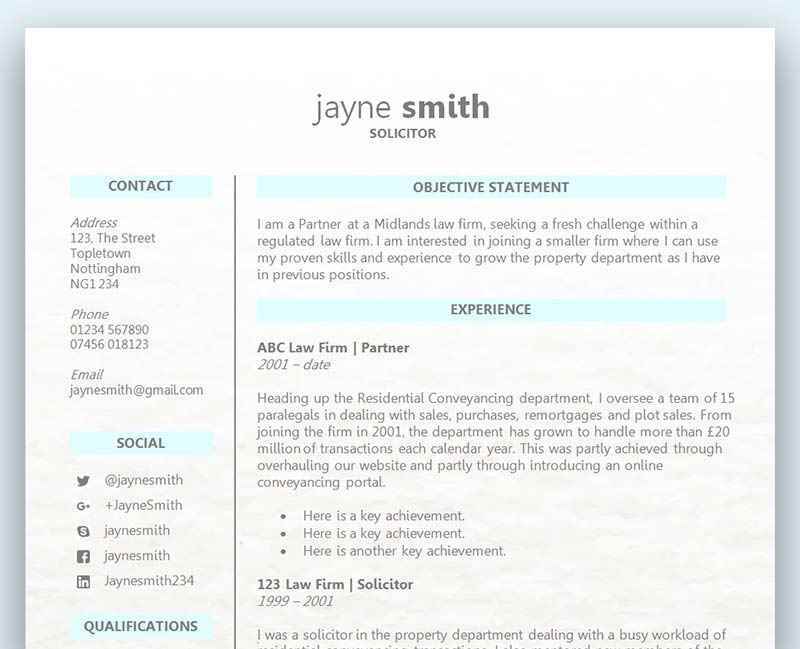 The titles for each section are aligned to the left hand side, creating a simple layout that neatly showcases your past work experience and qualifications. The template uses the Century Gothic font which is included with most copies of Microsoft Word and offers a clean, professional typeface that is easy to read. Sage Green CV/résumé template	Overall rating:	3.7	out of 5 based on 7	reviews. Smart, clean and simple, this professional CV template includes some smart styling details that help organise and show off your information to best effect. Left aligned section headers, matching headers and green dividers all create a fantastic impression while the neat font makes everything easy to digest. If you’re worried you don’t have enough work experience and your CV looks a little bare, then voluntary work can be a fantastic way of making your CV look great. There are numerous benefits to taking on voluntary work, all of which will not only help your CV but also help your career in general. If you’ve recently left education or are still in education, then you can benefit massively from taking on voluntary work. Writing a CV for the very first time is an extremely daunting task when you don’t have any previous work experience, so voluntary work is a great way to fill that gap on your CV. Whether you’re in between jobs or have just left education, voluntary work is a great way to keep busy and proves to a future employer that you are able to take the initiative. There are many people out there that search for a job and don’t fill that time out of work with anything fruitful. This obviously won’t look great on your CV if there’s a gap, so filling your time with voluntary work has many benefits, but above all else shows that you can think on your feet. Anybody that volunteers there time for free is an absolute star as far as we’re concerned, and an employer will think the same! It proves that you are not afraid to work, and when you are not getting paid it really does make a lasting impression on an employer. One of the most important qualities an employer is looking for is a hard worker. Someone who isn’t afraid to roll there sleeves up and get stuck in, whether that’s during normal working hours or overtime. Voluntary work speaks for itself in this department! Voluntary work also provides great references for your CV – especially if this is your only work experience. This is why it’s important that you do work really hard during your time volunteering, as you can walk away with a fantastic reference. Don’t fall into the trap of taking on voluntary work just to give your CV a facelift, as this may backfire if your boss doesn’t provide an adequate reference. Work as hard as you can every second of the day and you are guaranteed to get a fantastic reference when it comes to applying for your first job.